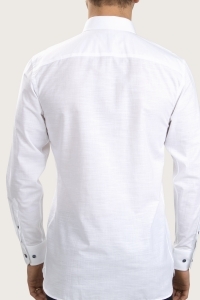 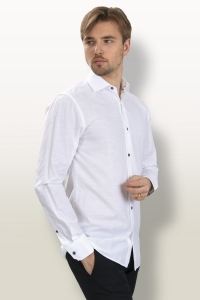 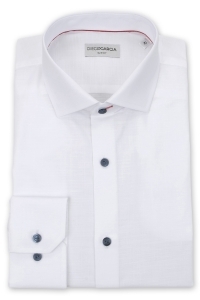 The classic Brisbane white chambray shirt is a perfect mix of elegance and comfort. 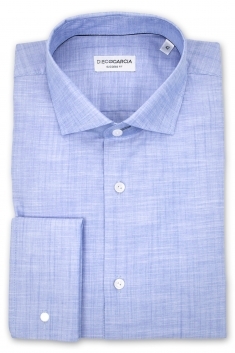 Soft and slight, it is perfect piece to wear with a suit for all your business or esay chic outfits. 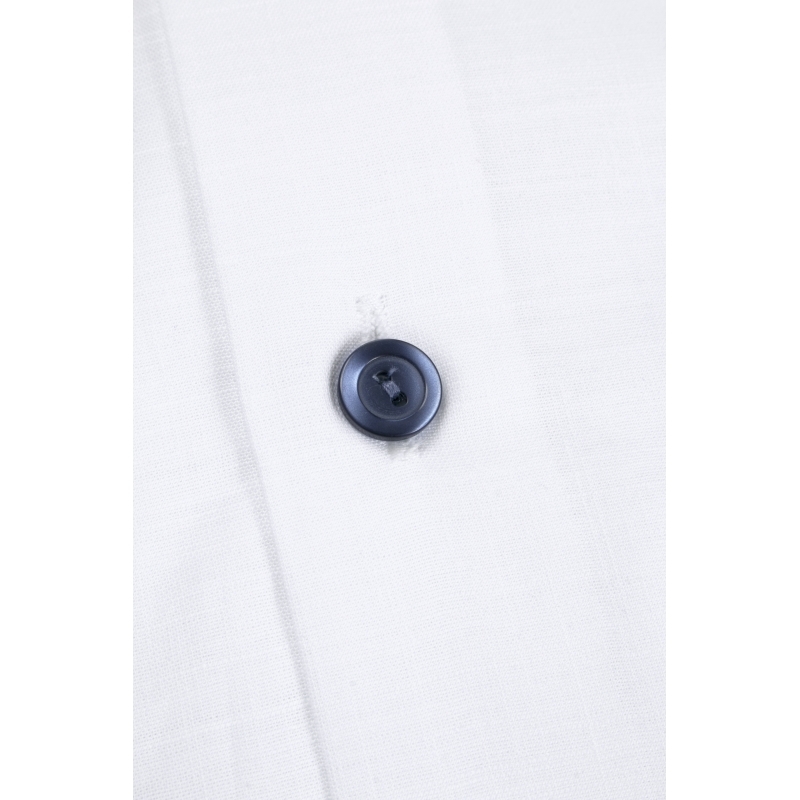 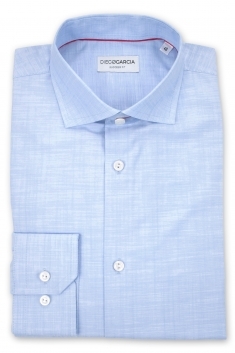 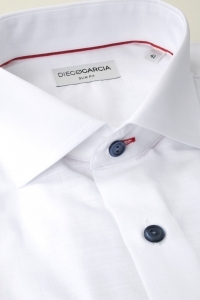 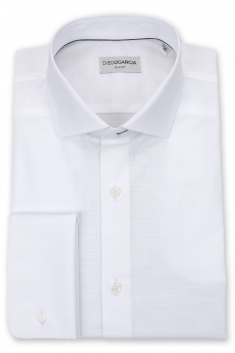 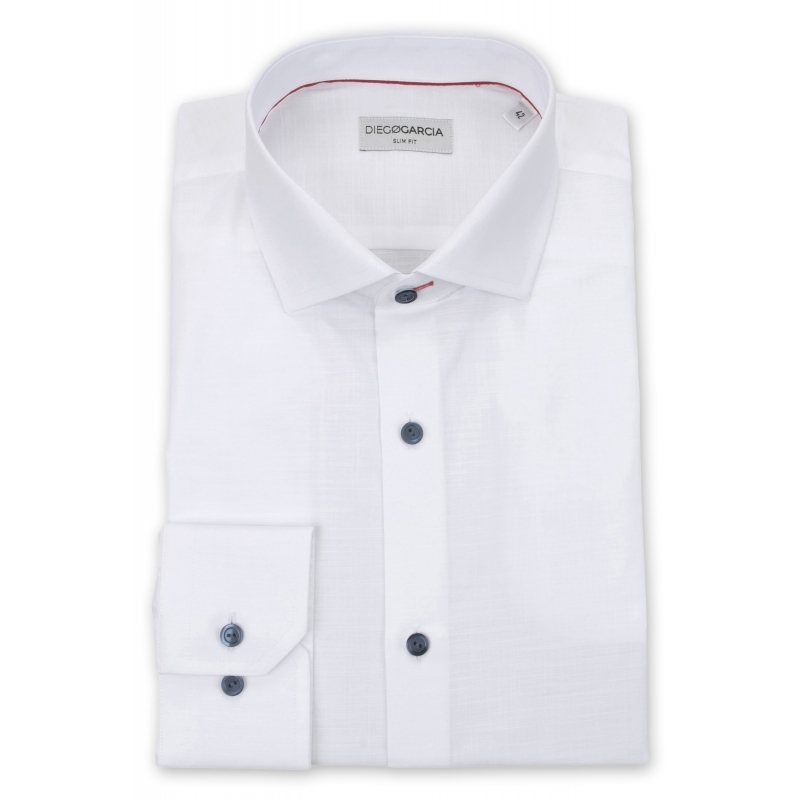 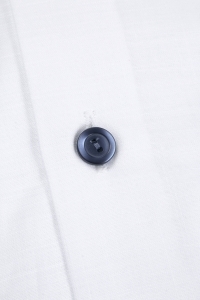 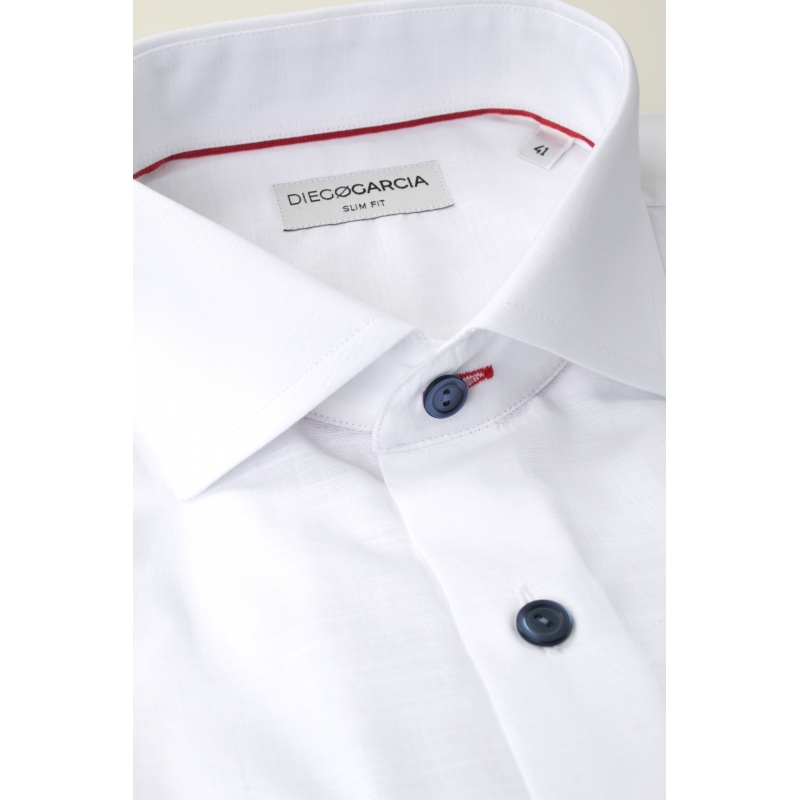 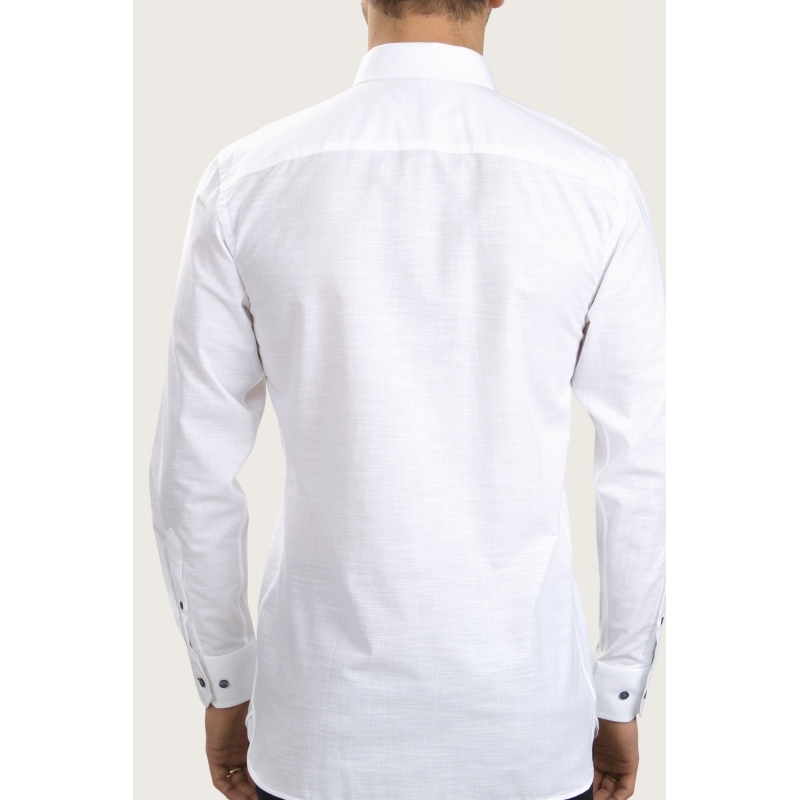 Enhanced by blue buttons, an adjusted fit, a cutaway collar and button cuffs.